How long does it take to ship my Computer order? We usually ship 1 to 2 business days after the order is placed. If we are waiting on part and it is going to be delayed we will let you know. If you are in a situation where you need the system rushed call us and we'll do our best to expedite the order. Are other options available on the systems beyond what is listed on the product page? Yes, we can further customize the system beyond what is listed as an options on each computer product page. Contact us at 800.462.1510 or sales@rampcsystems.com for more details. I didn’t realize that new systems with 6 or 7 PCI slots, or ISA slots were still available, are these new systems ? Yes, our systems are new. You won't find systems with ISA slots and more than 2 or 3 PCI slots from the big computer manufacturers such as Dell and HP. 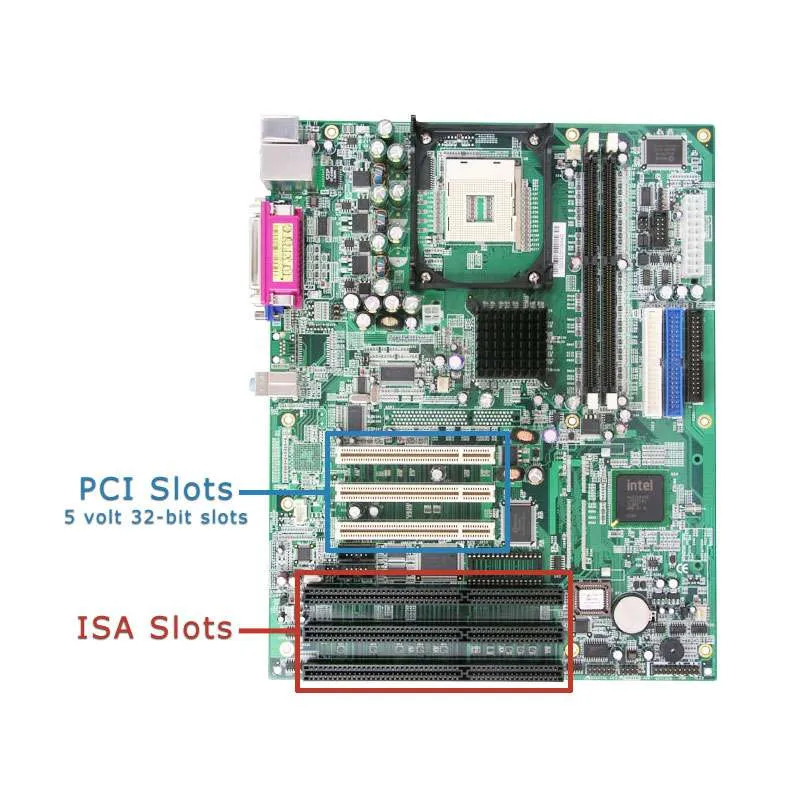 The motherboards that we use in our ISA and 4 or more PCI slot systems are Industrial class motherboards, these type of motherboard makers are the only ones that still make motherboards with these legacy slots. Are these white box systems? We don't put our name on the systems or the shipping box. If you are purchasing systems for resale to your customer, they won't see our brand at all. Yes, we ship worldwide. We have customers using our computers in Canada, Mexico, Honduras, Columbia, Sweden, Singapore, Chile, Australia, UK, Greece, the Philippines and more. If you are outside the USA and are interested in purchasing one of our systems, contact us directly for shipping charges. Are your computers designed to be used with a specific type of hardware? No, any type of hardware can be used with our systems as long as the slot type and OS are compatible. The types of hardware and software integration that our computers have been a part of are too numerous to list. A few are: Manufacturing, Voicemail sysetms, Auto Dialers, Predictive Dialers, Medical Diagnostic Equipment, Engineering Test Equipment, and 3D Printing. Are there any known compatibility issues with your ISA and PCI slot systems? Not that we are aware. Our customers use all different types of PCI, PCIe, and ISA devices with our systems and as far as we know there haven't been any compatibility issues. Are the computers listed on this site the only systems that you build? No, we also build completely custom systems based on your specific needs as well such as backplane systems with 10 or more PCI or ISA slots. If you need a more customized configuration please contact us at 800.426.1510 or sales@rampcsystems.com. 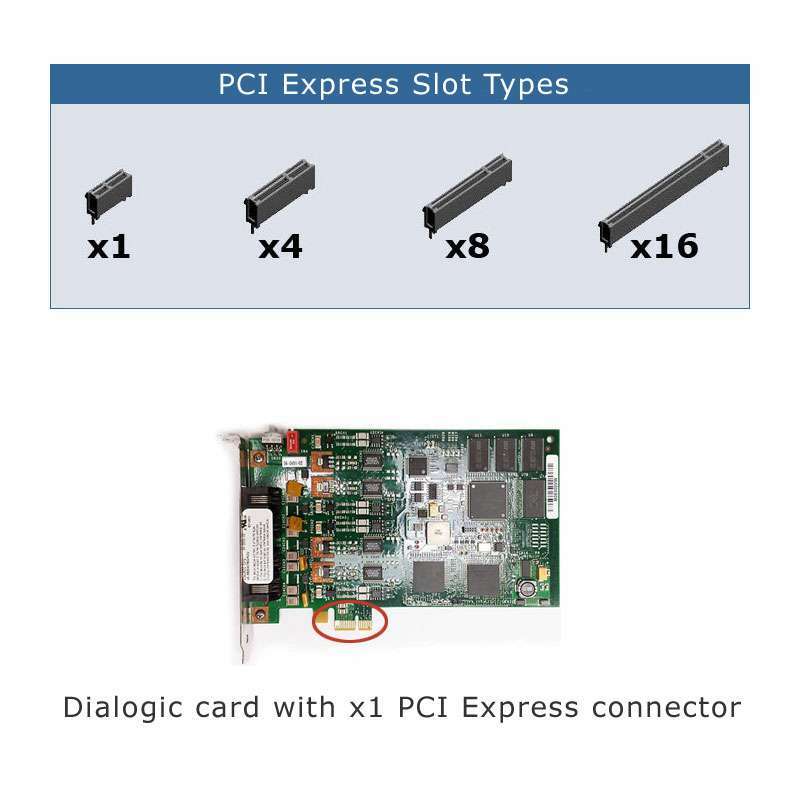 What is the difference between an ISA, PCI and PCIe (PCI express) slot types? ISA slots are the oldest of these 3 slots types and are no longer available from major PC manufacturers. In fact, if you purchased a computer after 1999, it probably doesn't have ISA slots. Computers are still available today with Industrial motherboards that have ISA slots, we sell these ISA slot systems, for more information, click here. &nbsp; PCI is newer than ISA slots, and are still available on computers from the major PC makers, though they are disappearing. We also sell computers with multiple PCI slots, for more information on the these systems click here. PCI cards will only work in PCI slots and ISA cards only work in ISA slots. Click here for a picture showing the difference between ISA and PCI slots. &nbsp; PCIe or PCI Express (not to be confused with PCI-X) is the latest PC bus architecture. PCIe is the replacement for both PCI and AGP slots. PCIe is not backwards compatible, PCI cards will not work in the PCIe slots and PCIe cards will not work in PCI slots. Click here for a picture showing the different PCI-e slot types. Do you install any trial versions or other bloatware on your systems? No, we don't install any trial versions or other bloatware on the systems. If you order a computer with the operating system installed we load the operating system, the motherboard drivers and run Windows update and nothing else. If you order the system without an OS we ship it to you with the hard drive clean and ready to load your OS. What level of support is included with each computer? We are committed to customer satisfaction with each and every system we sell. You can contact us for support for as long as you own the machine. Our support covers making sure that the hardware functions properly and basic Operating system support. For complete warranty information visit our warranty page. Where are you located and do you have a retail store? We are located in Carrollton, TX which is a suburb of Dallas. We are an internet only business and do not have a retail storefront.